As an organization, CAIR-AZ has always prided itself in education – and giving back to the next generation of community leaders. At last year’s CAIR-AZ Banquet, we laid out ambitious plans to help grow this chapter and thereby expand the capabilities and opportunities for those with ambitions and dreams to become community leaders. As we fast forward to 2013 – We have realized this promise – by creating new programs, expanding our reach and inspiring many more future leaders. One of our proudest accomplishments was the successful launch of the CAIR-Arizona Scholarship Program. We launched this program to create opportunities for college students who are aiming to make a difference in the community. With rising education costs, limited scholarship options out there and a growing college-age demographic – we realized that there was a void that needed to be filled, even with the limited resources our organization has. Fitri Cortes is a student at the Barrett Honors College at Arizona State University. As an up and coming leader within the Phoenix community, Fitri has spent her time volunteering at many local organizations such as the Cultural Cup Food Bank and the Ronald McDonald House. I make myself available for others, hoping to be viewed as an approachable person. important goals of pursuing higher education by awarding me a generous scholarship. Leila Gad is a student at Gateway College, focusing on the area of Social Work. She was born and raised here in Arizona – and has overcome many obstacles at a younger age, and is now on a positive track toward completing her studies. 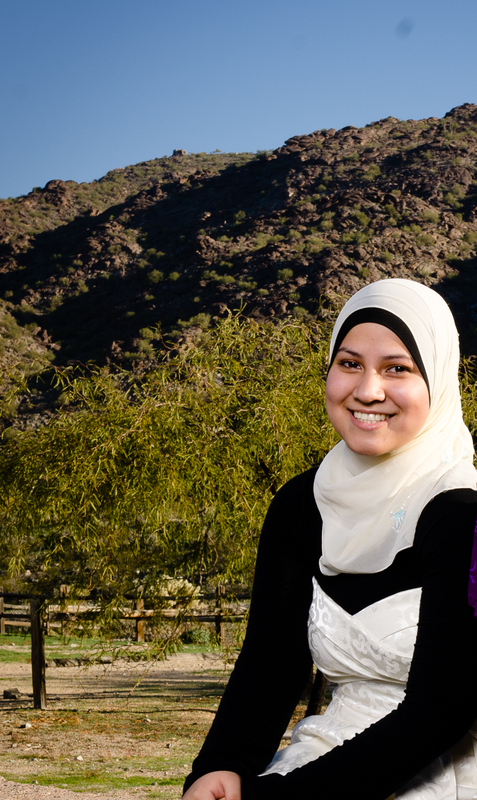 Please join us in congratulating Fitri and Leila on receiving the 2013 CAIR-AZ Scholarship. We hope this will make a positive impact on their pursuit of higher education and serving their community.